The Milestone - surely it's turning up here soon? 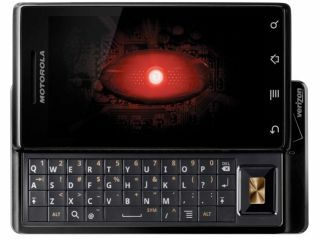 Motorola's UK version of the Droid - the Milestone - looks like it could land on T-Mobile after it was offered on contract in this country for the first time. Expansys is offering the phone for £35 a month, with the phone costing £50 to purchase as well. Unsurprisingly, there's no estimated release date for the phone as yet, which makes sense seeing as Motorola refuses to confirm it will be releasing the Milestone in the UK at all. And the fact it's landing on T-Mobile only adds to the mystery - the network has already told us that it won't be offering the Milestone in the UK, so unless it's changed its mind then this an online-only deal. But for £35 a month with 700 mins and unlimited data, it's a pretty good deal for a phone that's running the latest version of Android, even if it is sans Google Navigation. We'll be plugging away at trying to discover a release date for the Milestone in the UK - don't be surprised if it's not this side of Christmas though.